The sheer heat on the pavement is enough to blister dogs’ paws. People have the luxury of wearing shoes, so it’s easy to underestimate just how hot concrete and tarmac can get. Before you take you dog out for a stroll, press you hand to the ground for five seconds. If it’s too hot for you to keep it there much longer, it’s too hot to take you dog out. If your pet has a favourite blanket or pillow or suchlike, sticking it in the freezer for a bit will give it a cooling effect. If you can’t fit it in your freezer (let’s face it, most of us don’t have enough space for the fish fingers in there) dowsing it with cold water will have a similar effect. Water is the life giver. If you’re dehydrated, your pet probably is too. Make sure your dog and cat’s water bowls are full, and put out extra ones because they’re going to be extra thirsty. If you have a hamster or guinea pig or bird or other small animal, equally make sure their water bottles are full before you go out. If you have a spare water bottle, use it. Speaking of hamsters and guinea pigs, don’t let them get too hot. Don’t leave their cage in direct sun, and move them to a cooler room if you can. It would probably be best to bring outdoor pets inside. A garage would be best, but if you don’t have one, put them in the kitchen or another room without carpet where it will be cooler. If it gets really hot, you can put an ice pack in the hutch (but don’t use plastic ice bags which they might eat). If all else fails, a towel dunked in cold water can be draped over the cage to cool the air inside – make sure you leave room for air to circulate, though. Think about wildlife, too. Leaving out bowls of fresh water will be a godsend to the various birds, squirrels, hedgehogs and other critters that roam the suburban wilderness. A sprinkler will also be welcome to take a refreshing shower (your dog might like it too), but check you aren’t in a hosepipe ban area. Don’t leave your dog in the car. It should be common sense by now, but the RSPCA and the police still routinely have to rescue dogs from hot cars. In June, the RSPCA received four times its usual number of calls about dogs in hot cars, having to deal with 1,123 calls in one week alone. However, it’s not just cars that can have this effect. Confined areas with glass windows, including conservatories and caravans, can cause the same problem. Most people seriously underestimate how little time is required to bring on serious ill effects from high temperatures. Learn to recognise when an animal has heatstroke. 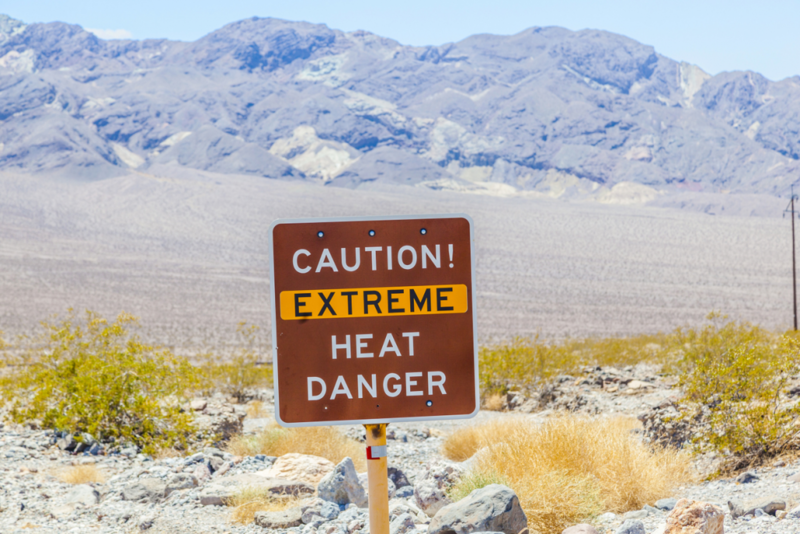 Heavy panting, drooling, appearing dazed and uncoordinated, and, most seriously, collapsing and vomiting are all clear indications of the onset of heatstroke. If this is the case, move them to a shaded area, try to keep them cool by whatever means you can, and arrange for them to receive medical treatment immediately.